The Schoodic section of Acadia National Park covers over 2,000 acres of wild forest set along the crashing surf of Frenchman Bay. As you enter the park, your first stop is Frazer Point, a great place for a summer picnic or lunch. You can take a short walk to the public pier and in the distance you’ll see the town of Winter Harbor. Frazer Point offers a view of working lobster boats as the fisherman make their way around the harbor. If you’re a photographer grab your camera and zoom lens and set your sights to the south for a picture of the Winter Harbor Lighthouse. Public restrooms are available at Frazer Point. The Park Loop Road is a one-way route through the park with beautiful views of the Frenchman Bay. 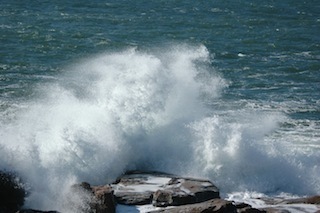 On your way to Schoodic Point you’ll see the crashing surf off to your right. There are many turn-offs where you can stop the car, take pictures, or just breath in the Maine coast air. There are beautiful views of Mount Desert Island off in the distance. Schoodic Head is half way between Frazer Point and Schoodic Point. Turn left on an unmarked dirt road. Follow the winding road up a gentle incline to the highest point in the park. Here you can get out, walk around, and take in the massive ocean surroundings. Please note the road up to Schoodic Head is closed to RVs, buses, and trailers. You can also hike to the top of Schoodic Head on a well-marked trail. Schoodic Point is located at the end of the Peninsula and has a parking area and a restroom facility. This is the best spot on the Peninsula to view sea birds and experience the crashing surf of the Atlantic. Bring your camera or your art supplies as the scenes from the point are unmatched. Granite boulders provide spots to sit and listen to the waves or enjoy a picnic. But be careful; the waves can be deceptively high and the rocks extremely slippery. The locals come to the Point year round to take in the magnificent views and the peace and serenity of Schoodic Point. 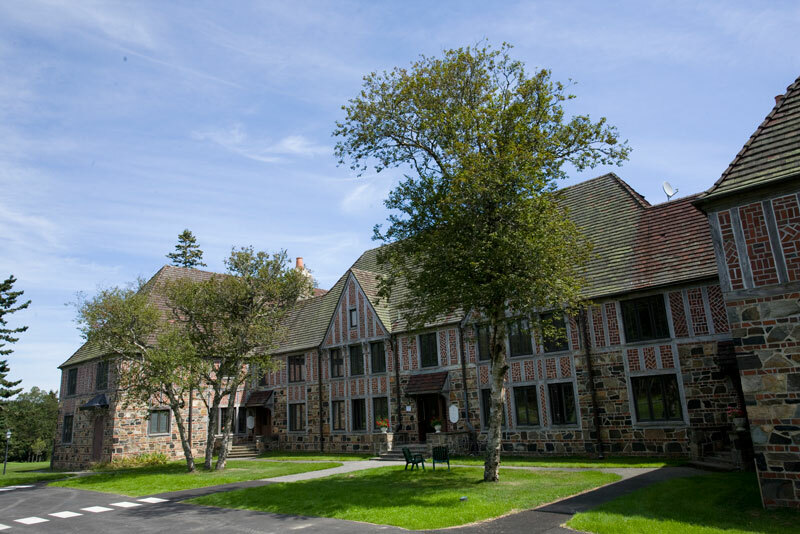 The Schoodic Education and Research Center is the research and learning center of Acadia National Park, a partnership between the Park and the Schoodic Institute. 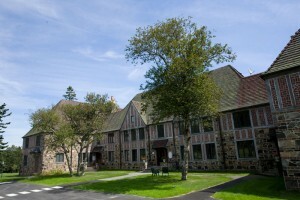 Schoodic Institute is the nonprofit partner of Acadia National Park and manages the campus facilities, a former Navy base active from 1935 – 2002. The Institute guides present and future generations to a greater understanding of, and deeper appreciation for, the natural world. The entire campus has been renovated and re-purposed to provide research and education facilities, along with lodging and dining for program participants. Newly renovated Rockefeller Hall, a Navy building from 1935, is open as a welcome center, exhibit space, conference facility, lodging, and offices. The campus is located near the tip of Schoodic Point. The public is invited to visit the campus for the many activities, events, programs, and workshops running throughout the year. As you exit the park you’ll pass through Birch Harbor, one of our small seaside villages. You can then continue on to Winter Harbor by turning left at the stop sign or turn right to visit Prospect Harbor and the quaint seaside village of Corea.